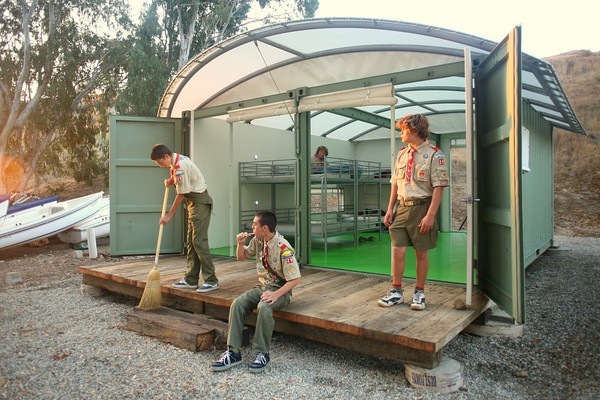 For thirty years, L.A.-area Boy Scouts have been convening on Catalina Island for wilderness retreats. Naturally, when it came time to overhaul their Army-style bunkers, the organization wanted to minimize its environmental impact. So they turned to Gensler, which produced the EcoCabin, a cabin-in-a-box solution using shipping containers. These aren’t the dark, flea-bitten cabins of your own childhood. According to Metropolis, the roof is made of the same diaphanous, stretched Fiberglas used in this landmark Austrian concert hall; the floors are made of gloriously splinter-free rubber; and the wood was reclaimed from a pier on site. All of the building materials that weren’t already on site were shipped there inside the shipping container, and assembled by the scouts themselves. 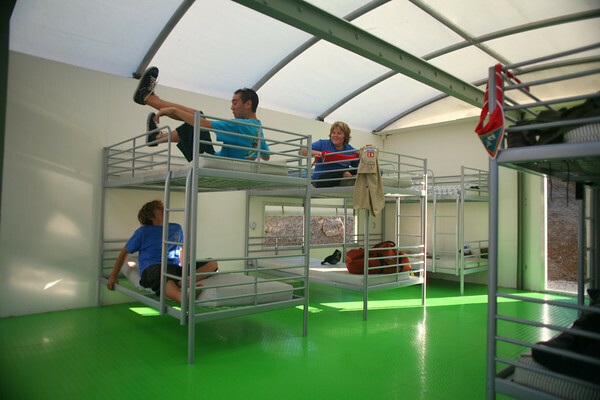 Eventually, 20 of the cabins will be built on the camp site. Gensler, of course, is the mega-architecture firm that led the recent City Center development in Las Vegas. But it turns out that they have some expertise with shipping containers–they consulted on Google’s shipping-container server farms, and, more famously, the Nomadic Museum designed by Shigeru Ban, museum which has toured across the world for years.